Very Good. 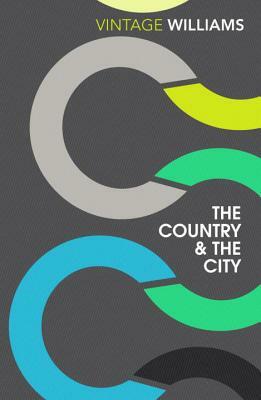 WITH AN INTRODUCTION BY TRISTRAM HUNTOur collective notion of the city and country is irresistibly powerful. His groundbreaking study casts the country and city as central symbols for the social and economic changes associated with capitalist development. B-format paperback. 512 p.
New. Our collective notion of the city and country is irresistibly powerful. The city as the seat of enlightenment, power and greed is in profound contrast with an innocent, peaceful, backward countryside. Examining literature since the sixteenth century, this book traces the development of our conceptions of these two traditional poles of life. Num Pages: 400 pages. BIC Classification: 2AB; DSB; JFSF; JFSG. Category: (G) General (US: Trade). Dimension: 198 x 129...2016. Paperback.....We ship daily from our Bookshop. New. B-format paperback. 512 p. In Stock. 100% Money Back Guarantee. Brand New, Perfect Condition, allow 4-14 business days for standard shipping. To Alaska, Hawaii, U.S. protectorate, P.O. box, and APO/FPO addresses allow 4-28 business days for Standard shipping. No expedited shipping. All orders placed with expedited shipping will be cancelled. Over 3, 000, 000 happy customers. New. B-format paperback. 512 p.